Last week I had the pleasure of participating in the Internet Mediterranean Congress held in Alicante from 24 to 26 September and organized (very diligently, btw) IFA Y I AM. Of the remarked "very diligently"Why in these major events often fail always something (wifi, for example ... or food ... or hours ...). But this was not the case. Everything worked well: the wifi endured all staff of Congress tweeting through their computers or their mobile phones (see #cintermed), The food was great and plentiful, and the schedule was set by the organization. So what more could you ask for? You can ask attendees time invested in attending the event really do have worth. I'm sure it was. On the one hand, the quality of the papers (at times wished he had desdoblarme two personalities to attend presentations that were made at the same time and both seemed to me essential). On the other hand, as far as I'm concerned, I tried to make a workshop on benchmarking, Entertaining, where attendees participated in the development of practical documents, and where people could acquire new knowledge and methodology related to the Digital Marketing and online analysis of your competition. 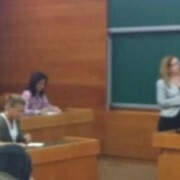 Montse, your talk was very interesting. ¿You impart courses? Hello Jose Antonio, thanks for your comments. Incompany impart or participated in courses organized by universities and business schools, courses organized but not directly. 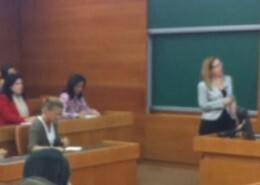 In the coming weeks I have to schedule several e-commerce courses organized by the Chamber of Commerce of Barcelona. You may be interested this type of course? Hi Montse, I am interested especially the development of benchmarking you did. I guess in the course would be much broader. It was really interesting and few people usually approach it that way. Is there a link where you can retrieve data from E-Commerce? I really do not know very well how it goes about the Chamber of Commerce and if being in Alicante can / could attend a course in the House of Barcelona.